This practice was established by Dr. Theodore Buckner over 40 years ago. It was originally called Atlantic Cumberland Eye Associates. Its main location is at 2020 New Road, Linwood, NJ 08221. When Dr. Buckner retired, Dr. Paul Remer became the director of the practice. Dr. Jun (Jim) Huang, in the meantime, established Quality Eye Center (QEC) in late 2003. Dr. Huang began working with the doctors at Atlantic Cumberland Eye Associates in 2006. In early 2008, Dr. Huang combined Quality Eye Center and Atlantic Cumberland Eye Associates, forming Quality Eye Associates (QEA) and became its Director since then. 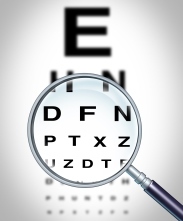 Currently, QEA has both Ophthalmologists and Optometrists. With expertise in a broad spectrum of eye diseases, from the cornea in the front of the eye to the retina in the back of the eye, we are proud to be able to provide the most comprehensive eye care in this area. Our offices provide state-of-the-art testing and, with an on-site laser available, we offer the latest treatment options. Along with our caring staff, it is our goal to provide you with individualized care to improve and preserve your vision for years to come. See us in the Press of Atlantic City.